How about working as the main lead actor for a feature film with an international casting? Great, isn’t it! If you aspire to be one of the actors in the Pro 2—international protocol, then this is just the right time to try your luck! The casting department is looking for 9 agents and welcoming auditions from all round the world. The filming of the movie is scheduled to be around early 2017. This movie is the second movie under the franchise of Pro story. It is an action packed adventure! The story of the movie revolves around an organization by the name of OWL who is after a Russian agent, Johnny Townsend. This guy is responsible for destroying the organization’s mission and task when he was taken as captive in London for murder charges and espionage. Townsend on the other hand is given a responsibility by Russia’s Royalist Dynasty (under whom he works) to recover ‘THE NANO’—it is an important prototype of a super computer that has the ability to operate nuclear missile anywhere around the world. The Nano was stolen by the OWL from Moscow, Russia. Hence, when OWL realizes that Russians have sent their best man, Townsend to get The Nano, they employ nine of their best agents from around the world, making a multi-million pound deal on Townsend’s life! No matter in which part of the world are you—the casting department is holding auditions via Skype to see your talent and give you a chance to be a fresh new face of the entertainment industry! This is an international project, so all travel and accommodation is paid by the makers. Payment: As per minimum equity. Age criteria for all agents are: 21 to 50 years. Ethnicities: All ethnicities are welcomed to apply. Experience: If you have any prior experience in paid speaking roles or unpaid speaking roles, please provide with authentic experience documents. The casting department has also announced need for extras in the movie, aged 21 to 50 years. You can apply to be part of the extras team even if you have no working experience. 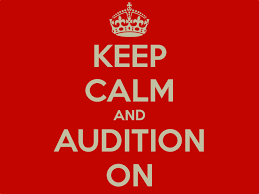 So, if you think you’ve got what it takes to be an international agent (acting, of course!) then apply with confidence starnow and showcase your talent to the world! Submission for auditions will close by end of June, 2016.